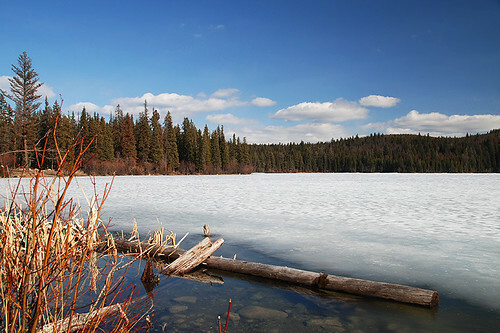 McConnell Lake Provincial Park is 102 hectares of natural wilderness located just south of Kamloops. The park encompasses several small, clear lakes and is famous for its fly-fishing. McConnell Lake has been known to produce 1.5+ kg rainbow trout! The park has a primitive trail around the lake, but nearby Stake Lake provides an extensive trail network that is popular with hikers in the summer and cross-country skiers in the winter. Many of the trails are also suitable for mountain biking. Snowshoeing is possible at McConnell Lake, depending on access and snow levels. Canoeing and kayaking are popular on McConnell Lake, and there is a smal, gravel-surfaced launching area suitable for small watercraft. High speed operation of boats is discouraged as this is a small, quiet fishing lake. 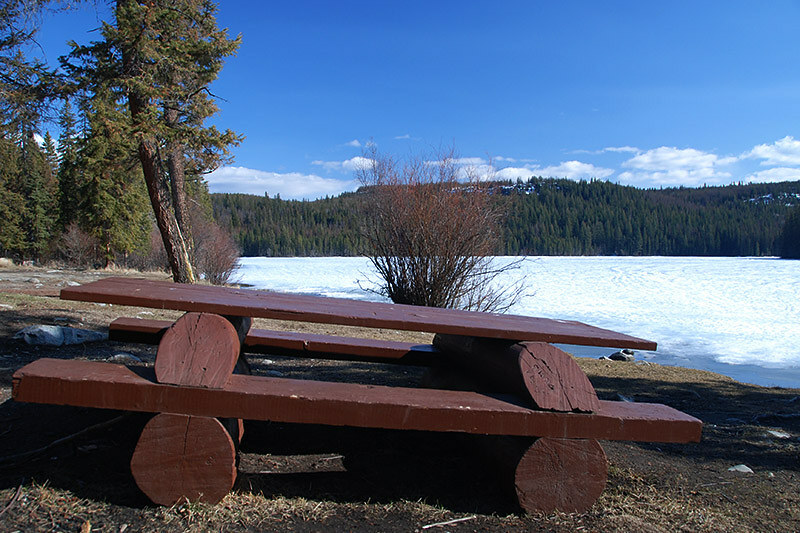 There is a very rustic day-use area, with one picnic table near the boat launch, one cold-water hand pump, and two pit toilets (no flush toilets). There is no developed beach or swimming area, and no camping is allowed at McConnell Lake Provincial Park. Visitors should note that the nearest public telephone is located at the entrance to Lac Le Jeune Provincial Park, approximately 2 km away. 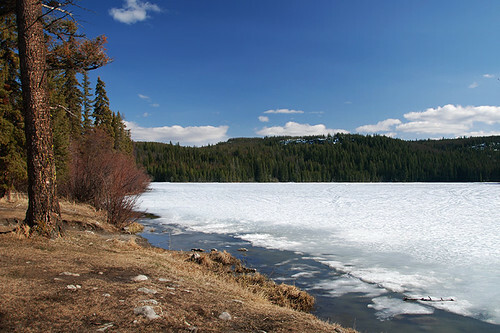 McConnell Lake Provincial Park is located 22 miles (35 km) south of Kamloops and 31 miles (49 km) north of Merritt. Access to the park is via the Lac Le Jeune exit off Coquihalla Highway 5.